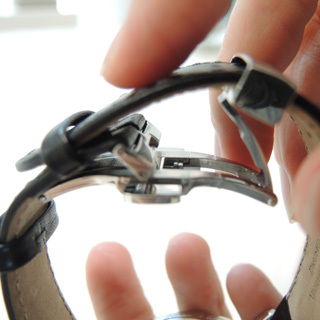 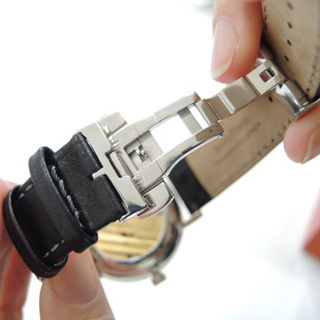 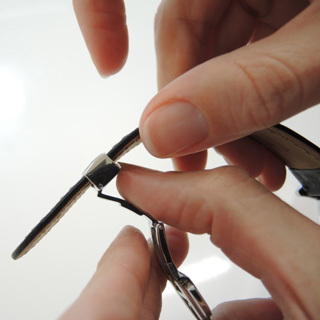 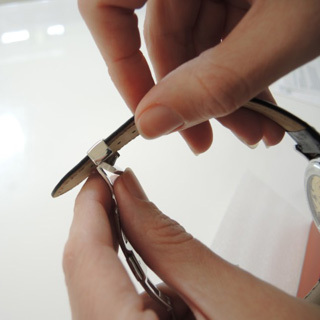 Step 4: Once the flap is open simply move the buckle to the length you desire and push the small pin on the underside into the appropriate hole in the band. 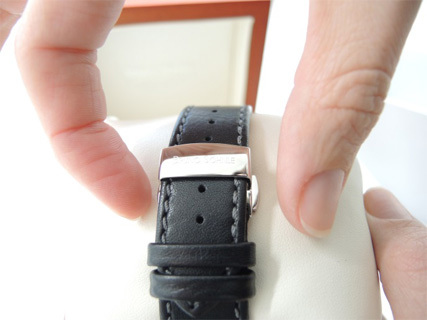 Press until you feel a light click to indicate the clasp is firmly closed. 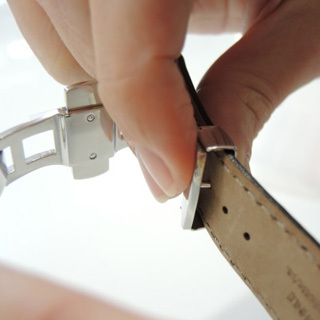 NB new leather bands will sometimes resist until they soften and form to the correct length – this is normal for a few weeks. 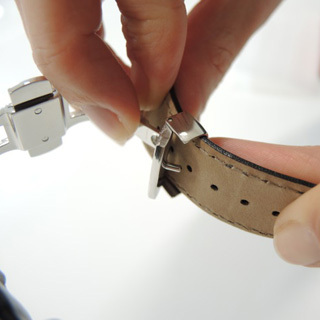 Step 5: close the buckle by fastening the short band end first then guide the other side into position as shown and press to close. 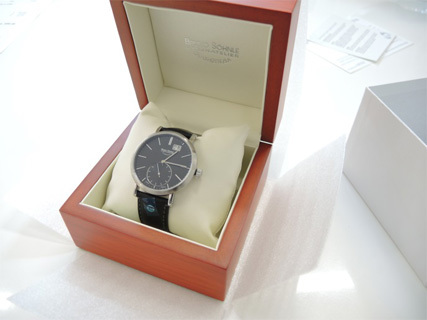 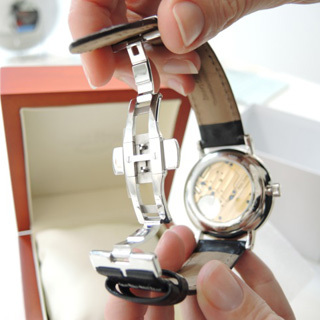 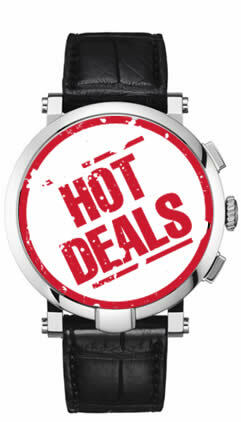 Step 6: Enjoy wearing your watch!